The Casa range of four-section profiling beds provides carers with easy patient positioning and treatment, while providing patients with greater comfort and independence. 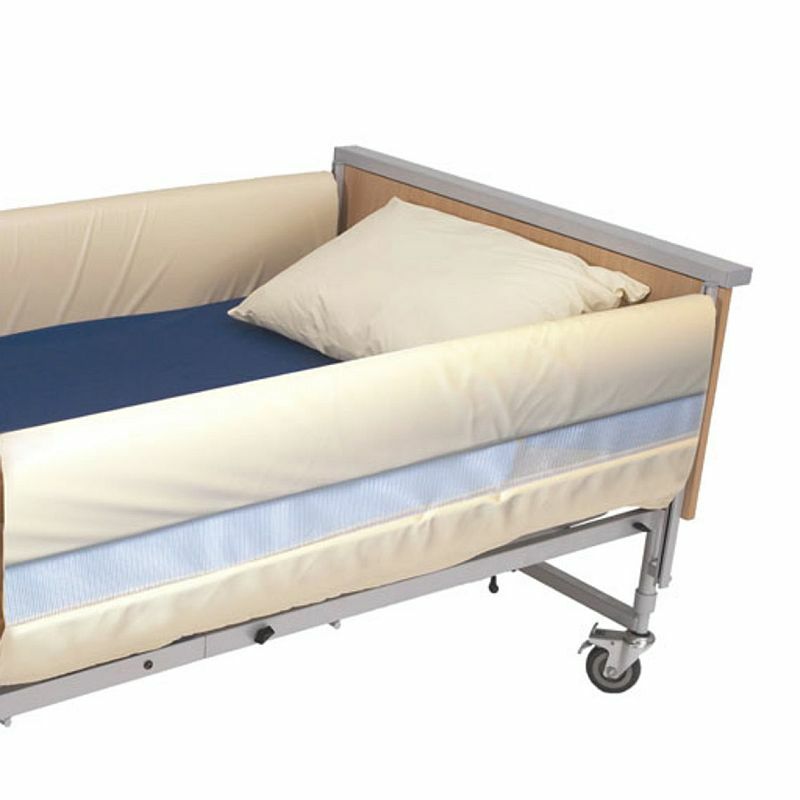 This set of Extra-High Cot Bumpers with Mesh helps to prevent patient entrapment within side rails, bolstering the overall safety of the bed. The bumpers feature a breathable mesh strip and are easy to clean, ensuring better comfort and hygiene. Some patients are at risk of their limbs becoming trapped within side rails of profiling beds, resulting in a risk of injury or discomfort. By completely enclosing the side rails, these bumpers ensure that there are no spaces for limbs to become trapped, increasing patient safety. Covered in fire retardant PVC and filled with CM foam, these bumpers provide maximum safety for your patients. These bumpers are designed to prevent patient entrapment and injury from extra-high side rails. They are suitable for use with the Extra-High Metal Side Rails for Casa Med Profiling Beds or the Full Length Wooden Height Extension Side Rails for Casa Profiling Beds. To maintain patient comfort, these bumpers are made with a breathable mesh strip along the centre of the bumper, allowing air to flow freely. The PVC covering is easy to wipe down and clean, ensuring the patient's area stays hygienic and safe. To get the bumpers set up in seconds, they are easily secured in place with hook-and-loop fasteners. Please note: The product sold on this page includes only cot bumpers, and not the entire bed as pictured above.